20A Wieland GST18 connectors for starting a soft wiring circuit. 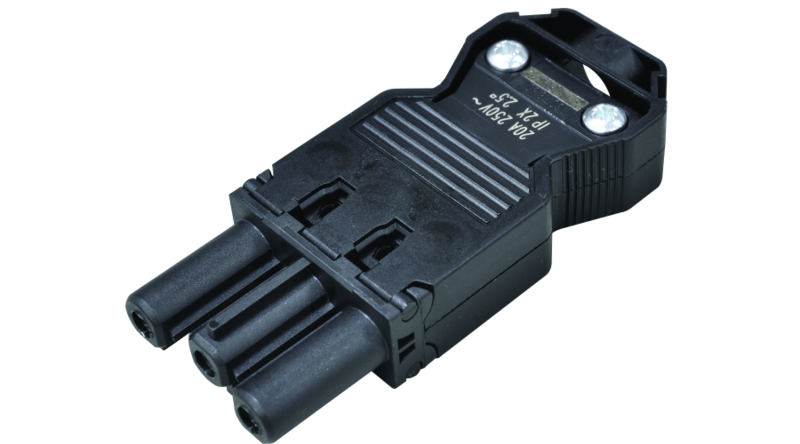 This type of connector is small enough for use in ceilings, under raised flooring, in most ducted wall skirtings, inside partitions or screens, and similar positions where space is limited and a surface mounted wall starter is not practical. 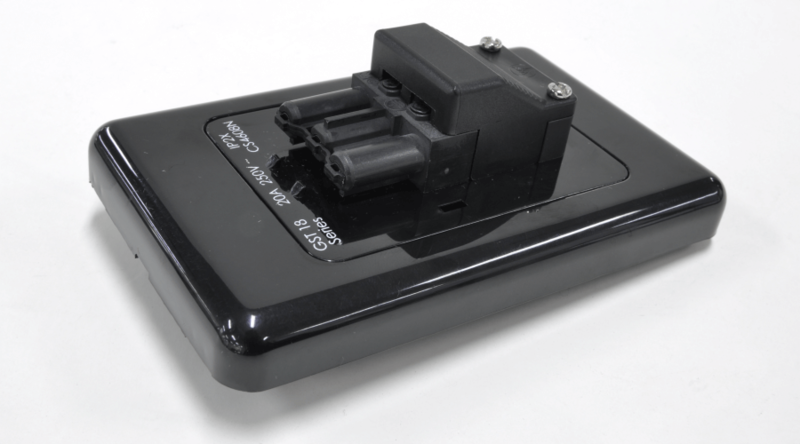 The starter socket is designed so that TPS (Twin and Earth) can be wired directly into the back of the starter. 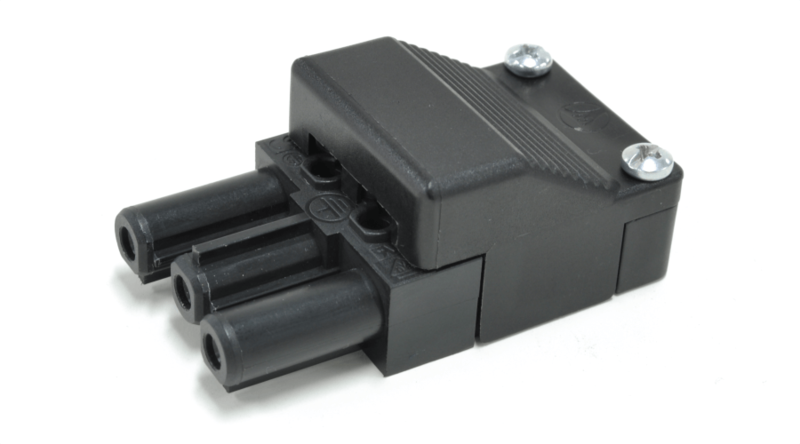 Wall starters are designed to be fitted to the wall to start the soft wiring circuit. Each wall starter is fitted with a Wieland GST 18/3 starter and inbuilt locking mechanism. Termination is made from underneath the plate. The surface mount starter is designed for locations where cable access underneath the wall plate is not possible, but fixture of the starter is required. Cable access to terminate the surface mount starter is gained from the rear of the mounted starter instead of underneath the plate.